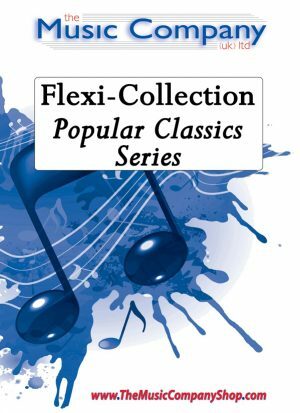 Like many of the arrangements in the Flexi-Collection – Popular Classics Series I have simplified the rhythms and time signature, etc. I have also omitted trills for ease of playing. Dynamics form a very important aspect of this arrangement and it is important to observe these, especially the p markings. Every dynamic from p through to ff is used as well as some crescendos. The 1st Cornet/Trumpet part is perhaps more difficult than in some of the other arrangements in the series, but the other parts are fairly simple in comparison. The Percussion part (which is optional) is unusual in that it calls for two ‘Anvils’ to be played. However if these are not available then a good effect can be obtained by hitting two pieces of metal with metal hammers.